Silverdale lake is situated in Silverdale Glen, which is located about 6 miles south of the Island's capital Douglas. The lake is formed by a dam across the Silverburn river, and water is drawn off to drive an old waterwheel powered roundabout. Although the lake is only relatively small, it is set in a well sheltered location which means that it is suitable for most scale events regardless of the weather. 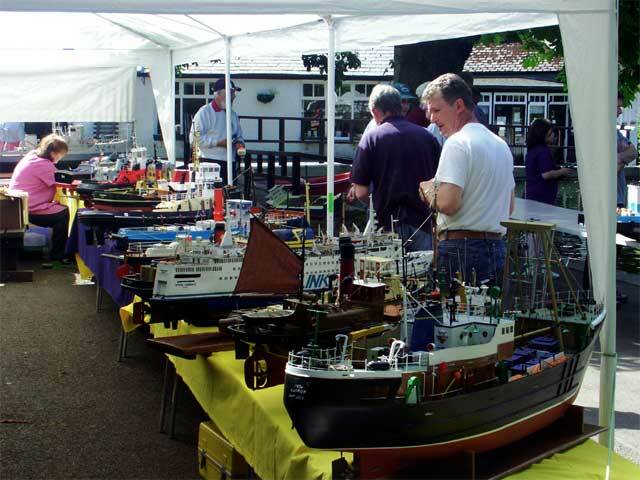 The above picture shows a general view of the models on display during our Mannanan event which is held in June of each year.